WATERLOO – Pamela “Pam” Morse, 65, of Columbia, Tenn., formerly of Waterloo and Independence, died Monday, Jan. 7, at Life Care Center of Columbia. She was born Nov. 21, 1953, in Independence, daughter of Warren H. and Rosaltha Humphrey Kiefer. She married Dean Edward Morse on Sept. 2, 1972, at Church of God in Independence. She was a tax preparer for H & R Block for many years prior to her retirement in 2016. 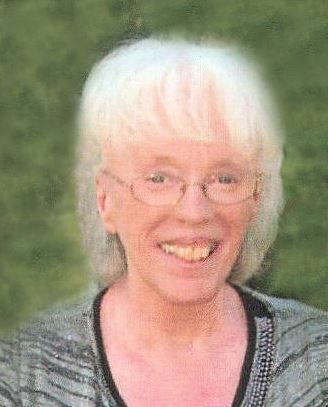 She graduated from Independence High School in 1972 and attended the University of Northern Iowa. Mrs. Morse was a member of Grace Church of the Nazarene in Columbia. Survivors: her husband; three children, Dianne Michelle (Mike) Toon of Maineville, Ohio, Chanelle Elyse (Todd) Owens of Cornersville, Tenn., and James Dean (Shannon) Morse of Spring Hill, Tenn.; seven grandchildren, Brianna, Rebekah, and Cameron Toon, Andrew and Alyssa Owens, and Annica and Catelyn Morse; a sister, Sherryl Rasmussen of Independence; a brother, Russell (Linda) Kiefer of Oxford Junction; and several nieces and nephews. Preceded in death by: her parents; a brother, James “Jim” Kiefer; and a nephew, Rusty Kiefer. Services: 10:30 a.m. Thursday, Jan. 17, at Hammond Avenue Brethren Church in Waterloo with burial at Rowley Cemetery in Rowley. Visitation is 4 to 7 p.m. Wednesday, Jan. 16, at Locke Funeral Home in Waterloo. A very dedicated mother and grandmother, Mrs. Morse had been involved in Girl Scouts and P.T.O. with her children. She was very artistically talented, enjoyed baking cakes and making porcelain dolls.